"I would like to share with you the newest update on LINE. 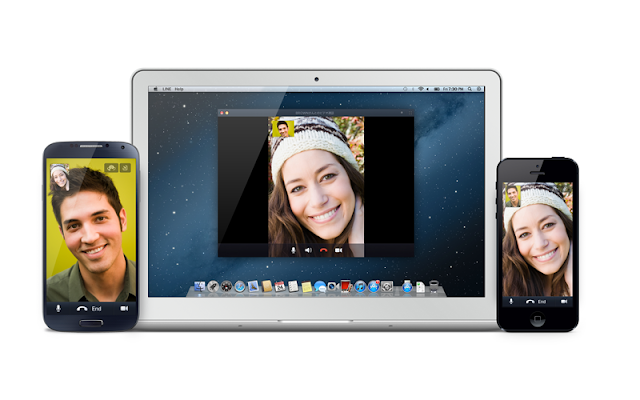 Introducing the Video Calls and Snap Movie, available today for update (Version 3.9.0). Now you can Video Call and Snap Movie with your LINE friends." Here is something much awaited by many Filipino LINE users. LINE, the world’s leading mobile messaging platform with 240 million users worldwide, has announced that the 3.9.0 version of LINE will be released worldwide. Powered with video features such as Snap Movie and video call, the updated version has opened up a new ground of dynamic mobile communication where users can enjoy various communication tools in one platform. Snap Movie, a video recording and sharing feature, allows users to create 4-10 seconds of personalized video clips with their choice of background music. In addition to using text and stickers, users can now share special moments via creative and dynamic video messages with their friends and family around the world. Users can post the video clips on their Home and Timeline, where they will be automatically played on a loop. The video clips that have been saved onto the users’ mobile devices can be uploaded on other social networking platforms as well. There will be 9 different background songs to choose from, and more music will be added soon to fit with a wide variety of situations and scenes. The Snap Movie feature has been released on iOS, and will soon be available for Android users. With LINE’s new video call feature, users can have real-time 1-on-1 video communication anywhere. The video call function is available throughout all major platforms including iPhone, Android devices, and PCs (Windows/Mac). It is also supported over both Wi-Fi and 3G networks.Users can also switch between video and voice anytime during the call for more convenience and freedom. In addition to video features, LINE 3.9.0 version is equipped with an enhanced photo and video sharing system, offering users to have more convenient and unrestricted ways to communicate with their mobile devices. LINE aims to continually add new functions and features to its messaging platform to open up brand new and exciting avenues for users to enjoy. Chat Album : Users can now create up to 100 albums of 100 photos in a chat for convenient access of the shared photos. Improved Video Function : Once video is uploaded in a chat, it no longer needs to be re-uploaded to share with other users. Remove feature on Hidden and Blocked lists : Users on Hidden and Blocked lists can be removed, and no longer displayed in Friend Recommendations. Privacy settings for each Home & Timeline post : Users can now choose who can see each individual posts on Home & Timeline. People today were very creative when it comes to technology. And one of those is the mobile messaging, LINE. Because of this things, people now can communicate easily. You just download this application in your android phones or tablets and boom! In just a blink of an eye, you will have the strongest connection with your friends and family. And because of this, I am impressed with such apps like this because there are different ways to communicate, you can chat with your friends, send a sticker or emoticons, voice message, or even video calls.